While I thoroughly, and I mean thoroughly enjoyed the summer, I cannot wait for the start of school. Buildings full of faculty and staff, students tired but ready to go, and our first full-day Kindergarten class all await us. I am really looking forward to a very positive school year. Concussion Management is Important: With fall sports in the air, I want you to know that we have revised our policy on concussions (click here). Concussion prevention is paramount, and our Athletic Director, trainer, and coaches are all on board to make sure that our athletes have a safe and positive experience. We have stepped up our pre-testing for concussions as well as how long an athlete needs to be symptom-free before they can return to playing field. 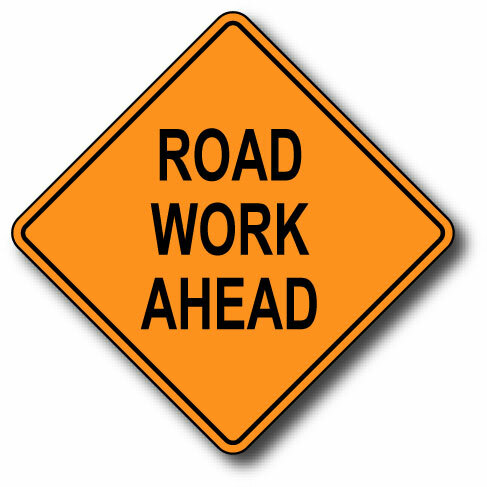 Road Construction Update: We have heard from officials in charge of the roadwork happening around the high school and West Genesee Street that there is still some work to be done. They are going to try and block lanes AFTER the morning rush to the high school so that the least amount of inconvenience is felt. If you are a parent who drops their children off at the high school or a student driver, I would recommend coming to the high school a few minutes earlier than normal until everyone understands and uses the new traffic flow that has been established. The first few days, we will keep an eye on traffic build-up in the morning from the high school campus onto Hinsdale Road and West Genesee Street over the first few days and ask officials to adjust the timing of the lights if necessary. We do not know if they will respond to our requests, but that have indicated that they will do what they can in order to make traffic flow as smooth as possible. Parent Portal is Now Open: Now that many of our parents have gotten use to accessing Schooltool for their child’s information, we appreciated your patience over the summer as each building needed time to build their master schedules. Although this required outside usage of Schooltool for a few weeks, all of our applications are up and operating at this point. As early adopters of many of the programs we have grown to depend on, we are hoping that this year will be glitch-free. New Theme: Our theme for this school year is going to be centered around, "thinking differently instead of working harder". I saw tremendous efforts from parents, faculty, staff, and students last year. I feel that there is another gear somewhere that will lead us to even more student success, but it revolves around thinking outside the box instead of putting forth more effort. I will talk more on that as the year progresses. I am firing up the twitter account again @cbrownwgcsd (https://twitter.com/cbrownwgcsd), so be sure to follow if you want to see what everyone is up to while they are at school. Enjoy your Labor Day weekend leading into a wonderful week, and I will be sure to post again soon. Plenty of News to Go Around! I hope that all of you had a great week. Except for one rain storm, the weather held out , the New York State Fair started, and the President visited! The President in Syracuse: We brought our oldest son to college (University at Buffalo) while the President was speaking on campus. On the way up the thruway we saw all of the barricades, police cars, and yellow tape. Believe it or not we had no trouble at all getting there. We got him unpacked and tucked in and hit the road back to Syracuse only to be stopped dead near Geneva because the President's motorcade was headed to Syracuse for his speech at Henninger High School. We had kept track of his progress most of the day via Twitter to make sure the roads would be clear for us to get home, but we missed that he made a special stop in Seneca Falls. That was information we certainly could have used! Our two hour trip home turned into a three hour and forty-five minute trip! No biggie. We needed the down time after an emotional day. I was able to listen to his speech from Henninger High School later that night, and regardless of political party, being in the same room with the Commander in Chief is pretty cool and I was envious of all who were able to enjoy their rime with him. A couple of years ago I was afforded an opportunity to attend the White House Correspondents Dinner and was close to both the President and First Lady, and I can still remember that experience like it was yesterday. Kudos to Corcoran High School senior Emilio Ortiz for accepting the challenge to introduce the President; he did an admirable job. Getting our Annual Professional Performance Review approved by the New York State Education Department, getting state scores out to our teachers and administrators, finishing master schedules, finalizing transportation routes, and getting things ready for opening day. 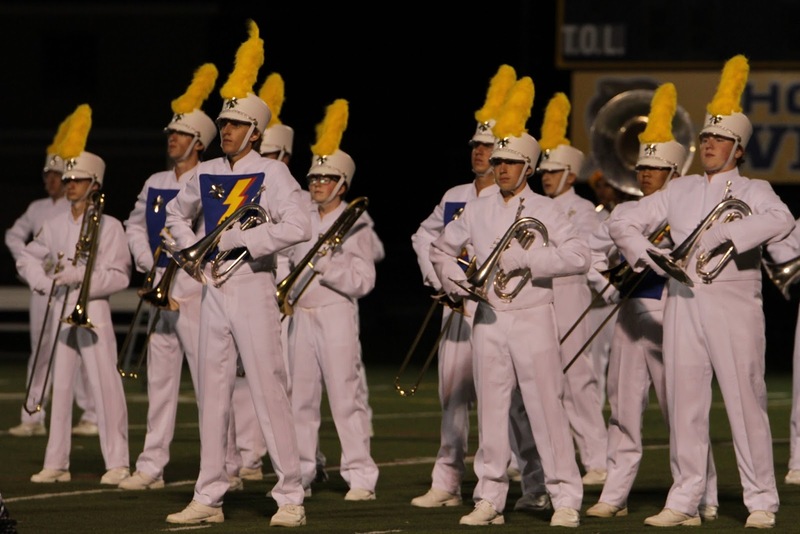 The Marching Band had their annual "preview" as well and they are nearly ready to take their show on the road. I had a chance to walk through their practice during the week and they are large, loud, and determined. The same can be said for our football team. I thought I wanted to hop in on a practice and take a couple of hits but then smartly reconsidered and will just continue to hurt myself by running! 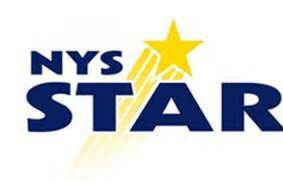 STAR Exemption: Finally, New York State is changing how they handle the STAR exemption process and taxpayers who own homes (with the exception of those who receive the STAR Enhanced exemption) will have to sign up each year to continue receiving STAR. Homeowners will be receiving a letter shortly from New York State with a BASIC STAR code and a website to go to in order to keep your exemption up to date. DO NOT THROW YOUR LETTER AWAY. We have gotten used to STAR as homeowners and in most cases we need to remember that the BASIC STAR exemption takes in the neighborhood of $30,000 off of the value of our home before taxes are calculated. That is significant so don't forget to take care of this when the letter comes. Click here for more information about the program. I am a New York State Fair fan and have only missed one year when I was a freshman in college, so if you are going you will probably see me there. Have a great week! Helping Out the Community: I had an opportunity to attend the Todd's Fund Annual Gala on Saturday night and was reminded how generous our community is. 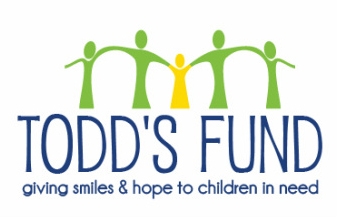 Todd's Fund is an organization that raises funds to help families in our local area that have children in need (many West Genesee students have confidentially been helped). One of the mothers there, who was helped by the fund, spoke of her situation and how it aided her family. Of course the best part is that all monies raised go to as many of the presented cases as possible. Many thanks go out to the Board members of Todd's Fund for such a wonderful and powerful evening. More information about Todd's Fund can be found here at http://www.toddsfund.org. We still have late summer sports, Marching Band, Freshman Orientation, locker nights, and of course the great New York State Fair. We also will take our oldest to college this week, which will be an emotional but exciting event I am sure. Gearing Up for the New School Year: The buildings are almost ready for children, and the transportation department has done an awesome job of making ride times a little shorter for our middle and high school students compared to what was received by parents a few weeks ago. Master schedules are nearly ready to be released, and our Schooltool portal and app are almost ready for business. When I post next week it will be just a few days from launching another great school year! Enjoy what summer we have left and I will see all of you soon. Talented Students: Each year when the seniors graduate I always wonder how we are going to replace their talents. We have been blessed with strong students, athletes, musicians, and performers year after year, and at times I think we actually take this for granted. My wonder always goes away for another year when I watch a summer game, speak to students who are leaving for school, starting a job, or heading out to basic training. Last Wednesday I walked into the high school auditorium for the Summer Jazz Concert and was blown away. The brass was LOUD and for having as many underclassmen as we do in that group, I was very impressed as I know they will only get better. Timing was good, balance was great, and the musicianship was excellent! We are in good hands once again! Board of Education Retreat: Last week we also had the Board of Education Retreat. This happens once a year, and I truly believe that every Board should have one. The day is all business just in a casual atmosphere. The Board spends the morning going over their goals for the year, discussing how they will communicate, taking some time to learn about each other on a personal level, and they also make a "to do" list of sorts for me. I join them in the afternoon and they discuss the "to do" list, and I go over our academic results with them to bring them up to speed about some of the goals that are worthwhile for the upcoming school year. I presented them with a list of approximately fifteen major things that I will be leading or managing this year above and beyond the normal day-to-day work. There were three things, however, that can be measured and will impact our business five years from now. The first focus has to be on our math results K-12. 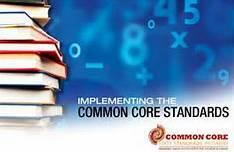 This will be the second year of the Common Core Learning Standards implementation, so our teachers will have a better handle on the material. We have interaction time beginning at the middle schools for students who need extra help. For our high school students, our "College and Career Readiness" numbers need improvement (students need to receive an 80 or better on ANY math Regents Exam). Our results are good, but good is a boring word. Our results need to be superior for our students to be competitive anywhere after high school. We will be leaning on parents more to help us achieve this goal. Our staff really can't work any harder. They will work a little differently, and we will need your help to keep your child engaged in their success. Please work with them and all of us will benefit. The second goal is to successfully launch a Capital Project. This is my sixth year, and if you have followed our business for the past five years you know that we give you ALL of the information we have about everything. My job will be to clearly communicate the goals of the Capital Project and make sure that all deadlines and budget goals are met. Expect to hear a lot from me about this at the end of August. 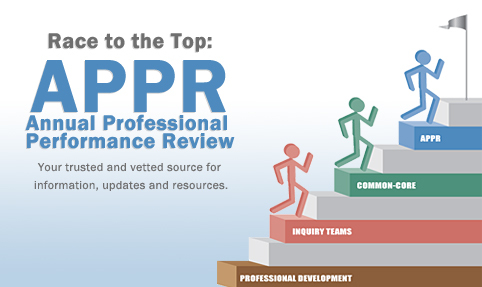 The third goal is to successfully implement the second year of the Annual Professional Performance Review. Year one went. I think each person impacted by "APPR" will give you their own view about how the process worked for them. "APPR" is not going away, so what we want to do is continue to get the most out of the process, but not have the work involved in the process keep teachers or administrators from concentrating on their students each day. These are all great goals and each impacts your children in some way. I will keep you posted as we progress and will give verbal updates about these goals at Board meetings three times per year. 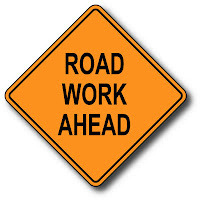 Road Construction: I am keeping my fingers crossed for the road crews and water authority as they continue to work on West Genesee Street near the high school. Last week was pretty frustrating to be blunt, but I completely understand and they have been great about trying to get things done before the traffic really increases in a few short weeks. We will continue to support their efforts by communicating anything we receive from the Department of Transportation. This summer has been anything but boring. Both days of the John Pepper Lacrosse tournament went very well, summer school is nearing completion, and the Marching Band is headed into their yearly "band camp". We have also had the excitement of paving on West Genesee Street that has caused a few hiccups, but as I watch the finished product take shape, I think it will be worth the few inconveniences we have had. 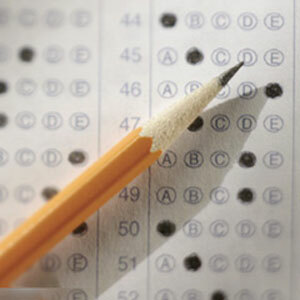 Assessment Results: On Wednesday the New York State Education Department will release the Grades 3-8 Assessments results. In a letter from the Commissioner (click here), he clearly states that results will be markedly lower statewide and that a new baseline is being created. We will take a very close look at our data and make sure that it is accurate and make improvements as needed. These results will also bring up the questions again about standardized testing and where they belong in K-12 education. With this being the second year of the implementation of the Common Core Learning Standards along with the second year of the related standardized testing, we will be watching intently to see if any of the state level mistakes will be corrected. If not, we will be taking some steps as a District to suggest an alternate path to measuring student effectiveness. I believe that this second year is important because sometimes initiatives take longer than a year to mature and this particular testing initiative has some pretty clear paths to take in order to be corrected. We will see. Supply Drive: On August 24 our PTA/PTO District Council will hold another school supply drive.This has been very successful in the past and has helped many families in need. You can find information about this event by clicking here and as always, thank you for your support. Community Reading Project: As we start the school year, I would like to let you know that one of our high school English teachers, Mr. Keith Newvine, is initiating a community reading project called "One Book, One Town, Everyone Reads". He has selected a book called Petey by Ben Mikaelsen. This book is about a child who cannot advocate for himself as his disability prevents him from doing so. Another student befriends him and helps him to have a voice with other students. It is an inspirational book and fits right in with our anti-bullying theme of "no more standing by". Click here for a flyer about the book which is at a reading level that is appropriate for nearly all grade levels. The author of the book will come to West Genesee in February to continue our discussion. We hope that you will help us to support this community initiative.